With over 30 years of experience in material crafting with passionate workers and a little alderwood, we have learned how to use the creativity of the Designer imagination as a foundation for each project we take on. Business owner David Madrid can tell you in his own words what it takes to be successful in a business as competitive and ever-changing as this. He believes growing a company is very similar to building a relationship. You need to get the person interested in what you have, and then you have to prove you can consistently do it! 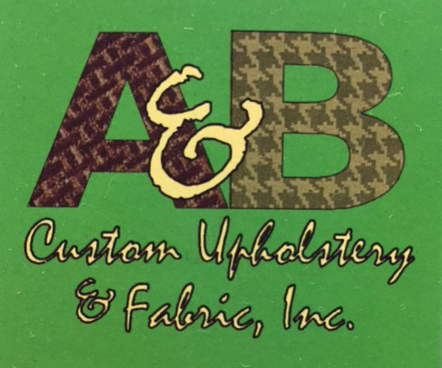 At A & B Upholstery we want to give you exactly what you’re looking for. Through a handful of name changes and thousands of clients, the A&B team has learned through trial and error to work in a group effort to bring quality to each client that comes to them. We service the following areas, if you are outside these areas please call.